Spring is in the air…and on the red carpet, or actually the blue carpet, if you want to get specific. Everyone was rocking floral prints at NBC’s Upfront this week, and we are obsessed. 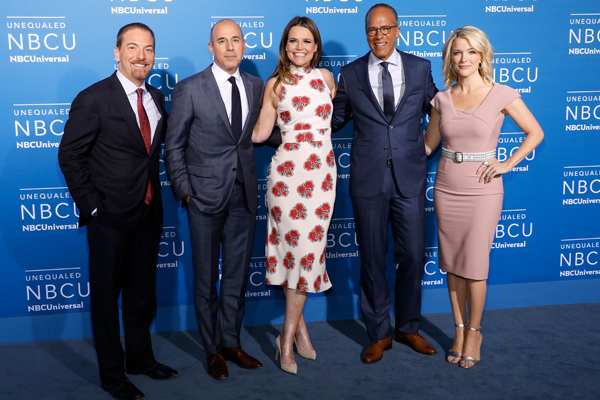 On Monday, NBCUniversal had their upfront presentation in New York City. Stars from all of their TV shows hit the blue carpet and talked about the upcoming fall lineup. While we LOVE TV as much as you do, it was the style on the carpet that caught our eye. There were a ton of celebrities wearing floral prints throughout the day, and it was wonderful. We now have serious spring fever! Okay, enough is enough. Let’s get down to the flower-power looks. Check out our favorites below, and get inspired for the rest of spring. The Superstore actress stunned in this blue and purple number. There were flowers printed all over the frock, but its shape and fit made them look dainty and dazzling. 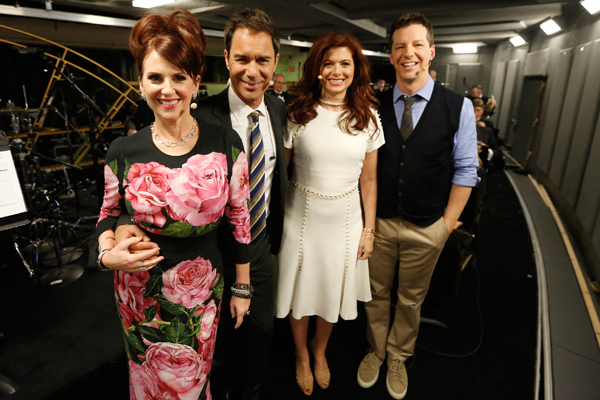 In case you missed it, NBC released the official trailer for Will & Grace’s revival season! In it, Mullally donned a gorgeous rose-printed dress. On Monday, she wore the same dress as a part of the cast’s musical performance at Radio City Music Hall. The actress looked perfect in her rose-tastic dress, and we want it in every color! 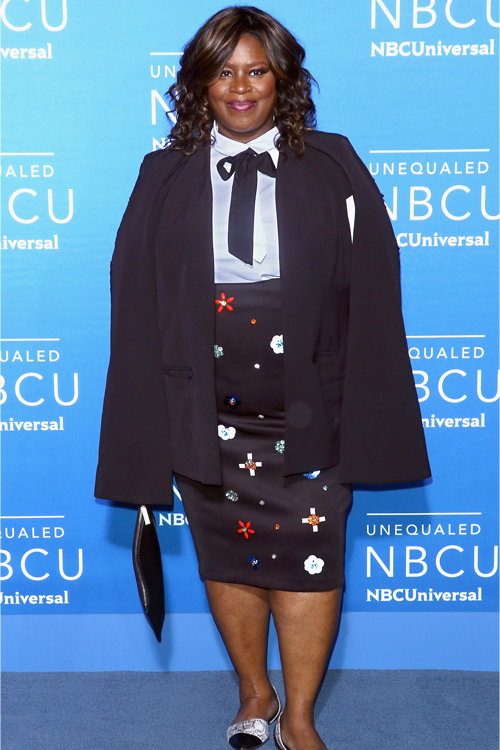 Retta is an NBC favorite, starring on Parks and Recreation and now, the upcoming series Good Girls. We love that she opted for small flower jewels on her skirt, for an added pop of fun and flare. The Reverie star was glowing as she stepped out in NYC. Her poppy-filled dress is the epitome of spring fever, and we’re in love. The Today show host posed alongside her fellow co-hosts at yesterday’s event. Guthrie, however, stole the show in this white, fitted dress, with red bundles of flowers printed throughout. The This Is Us star looked flawless as she posed for her 2017 portrait at the Ritz Carlton. Her black-and-white dress with florals on the skirt is both flirty and fun. The Parks and Recreation alum was a serious showstopper in her floral dress. Seriously, there is SO much color and so many different flowers on this dress that we don’t know where to look first. Since she was just declared the newest coach for Season 14 of The Voice, we weren’t surprised to see Hudson at this event. What did surprise is us how amazing the singer looked on the carpet. Hudson usually dresses to impress, but this sassy number, complete with bold, purple flowers, is next level. Which floral look is your favorite?